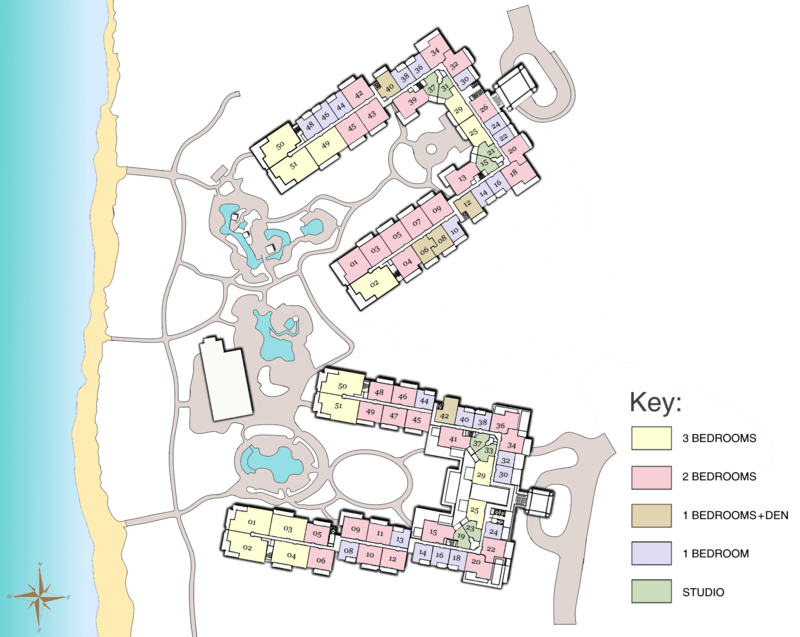 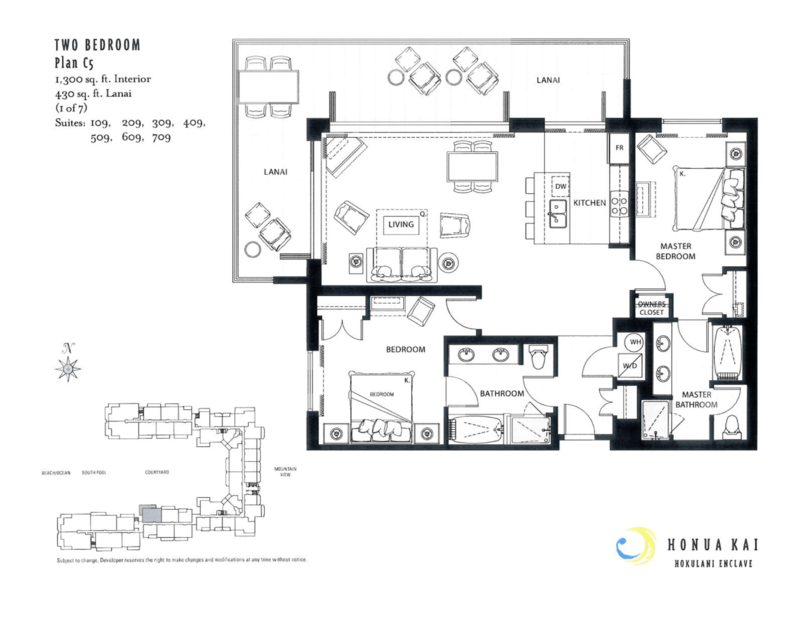 The map below shows room size location within Honua Kai Resort. 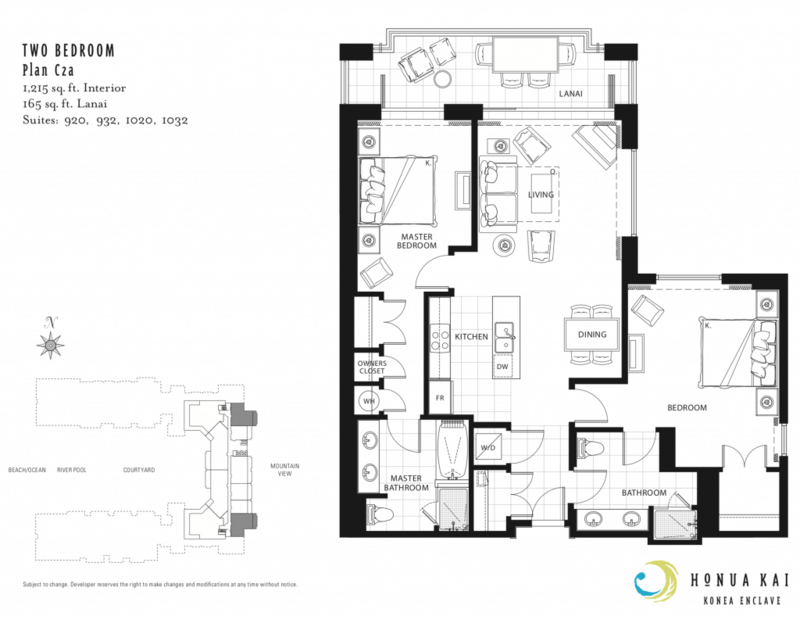 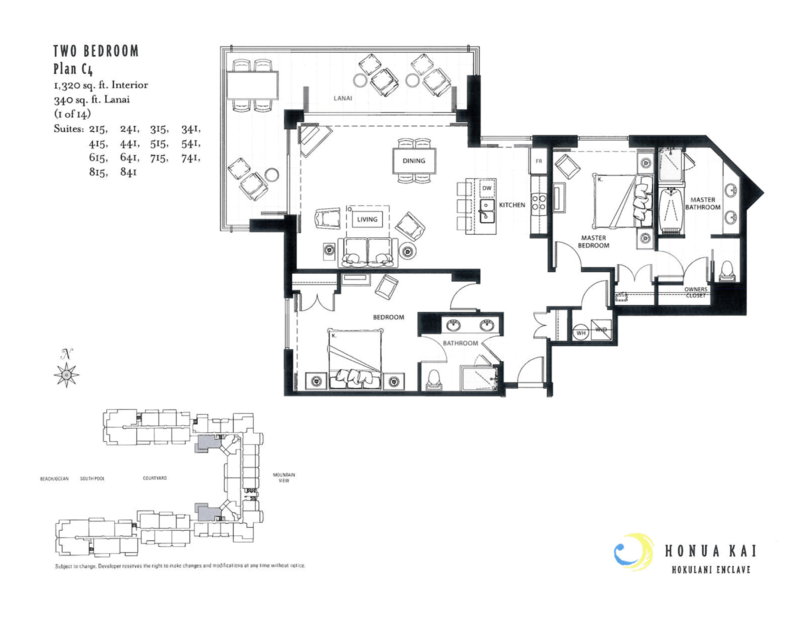 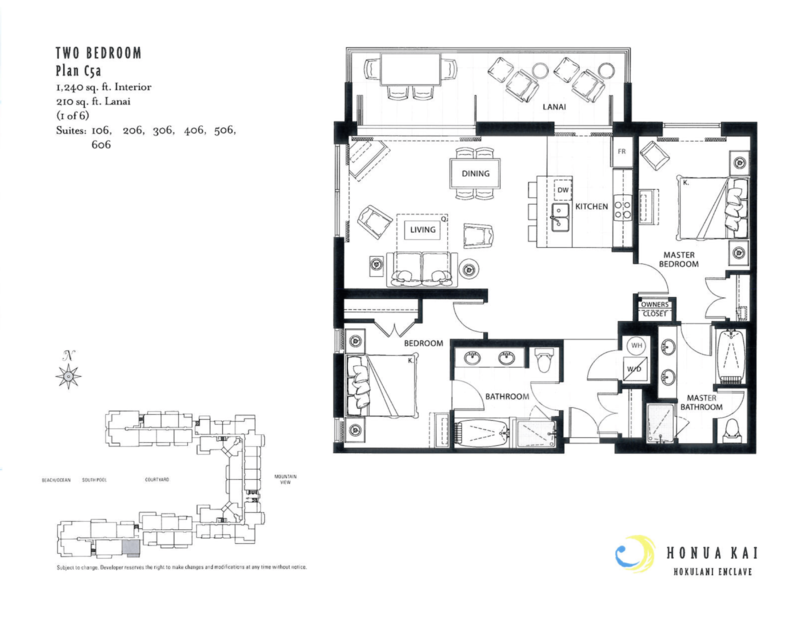 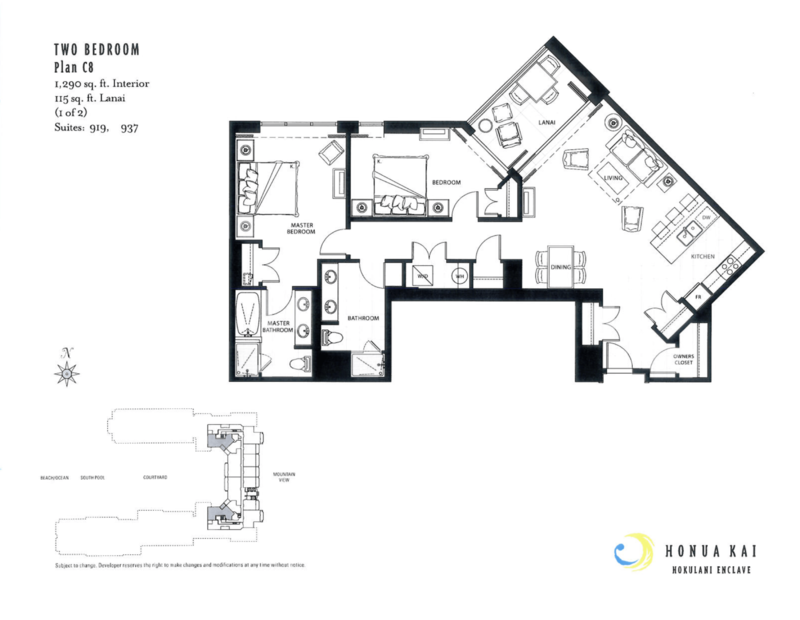 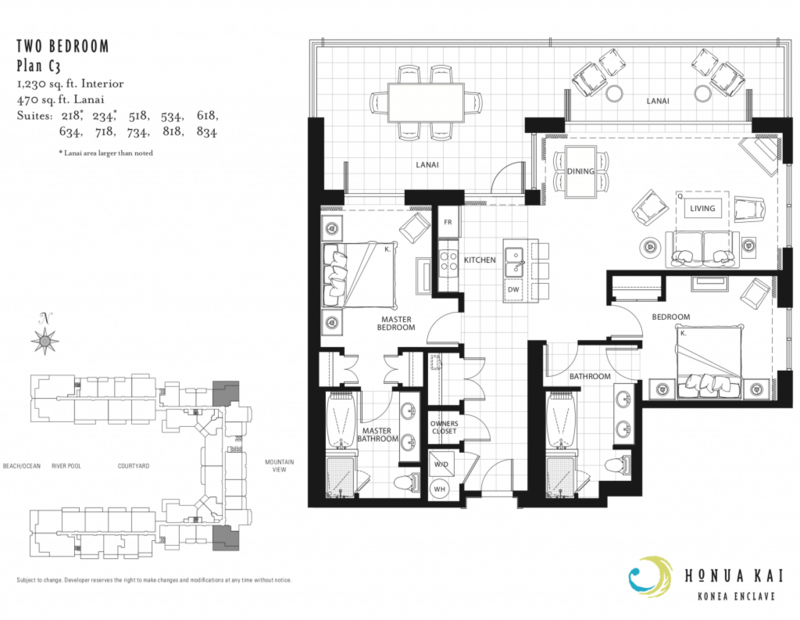 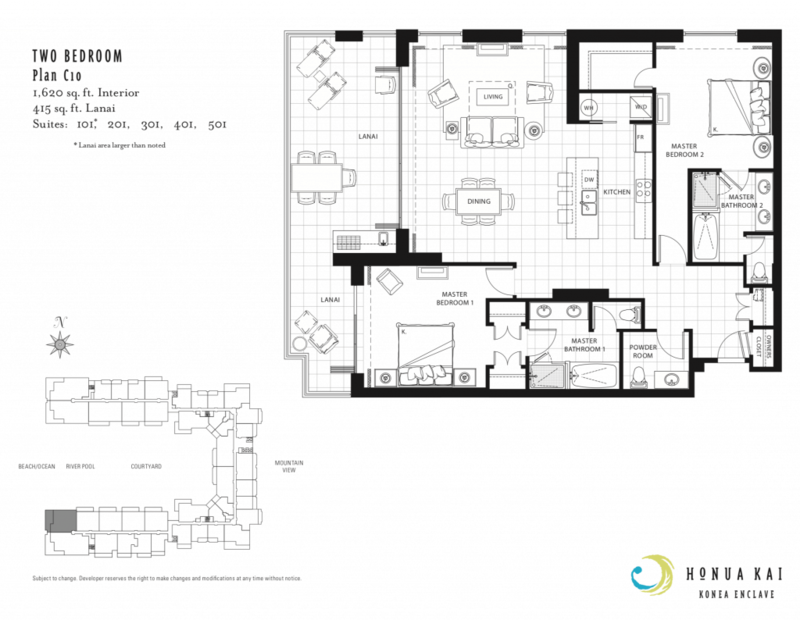 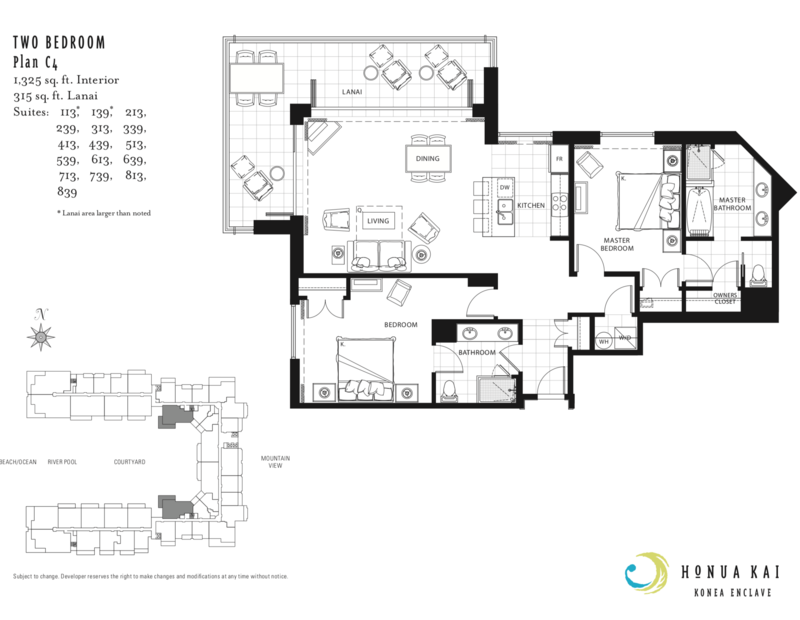 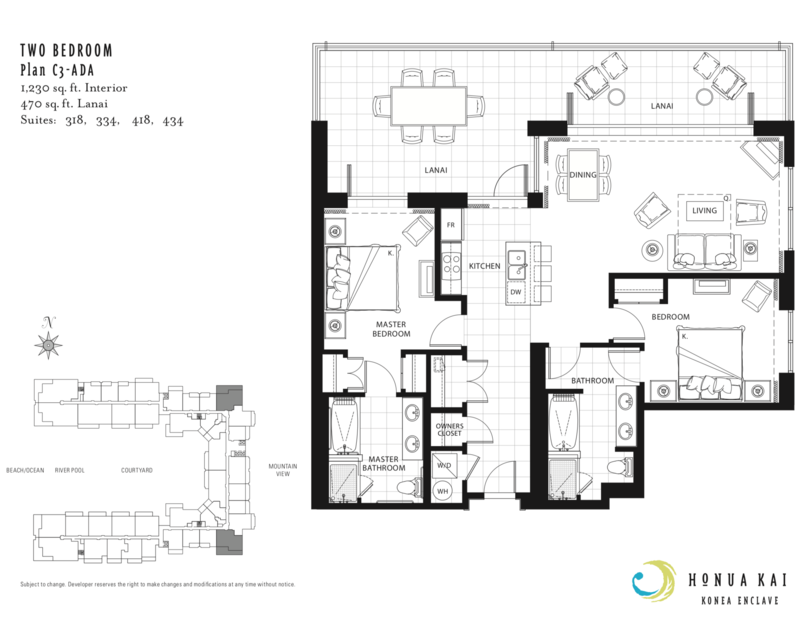 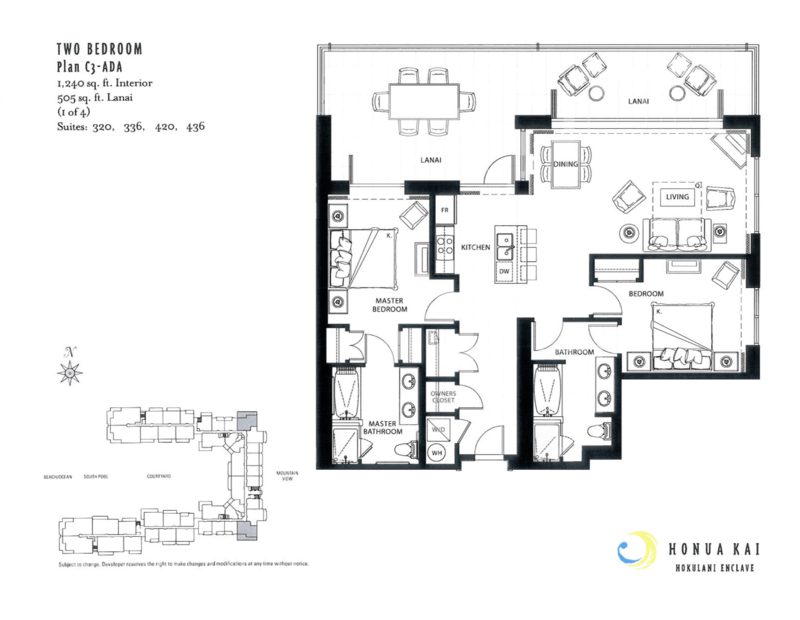 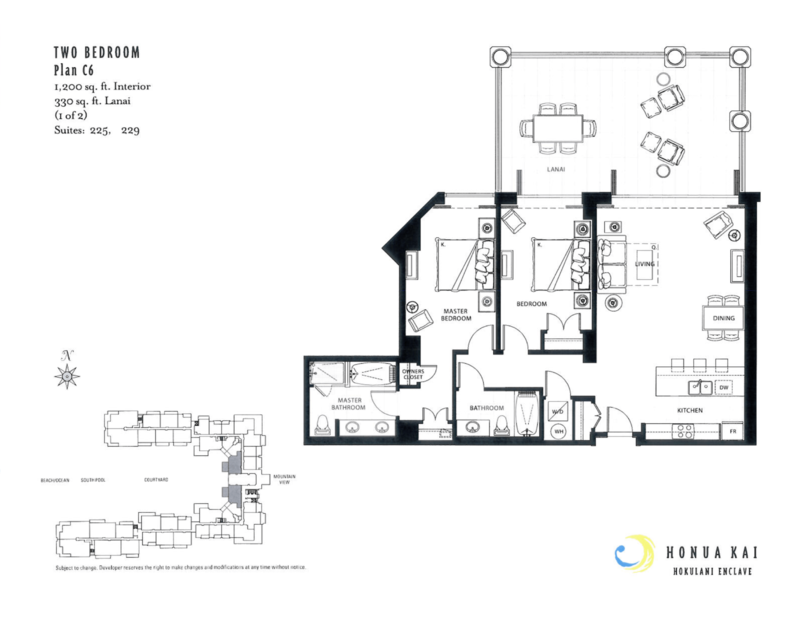 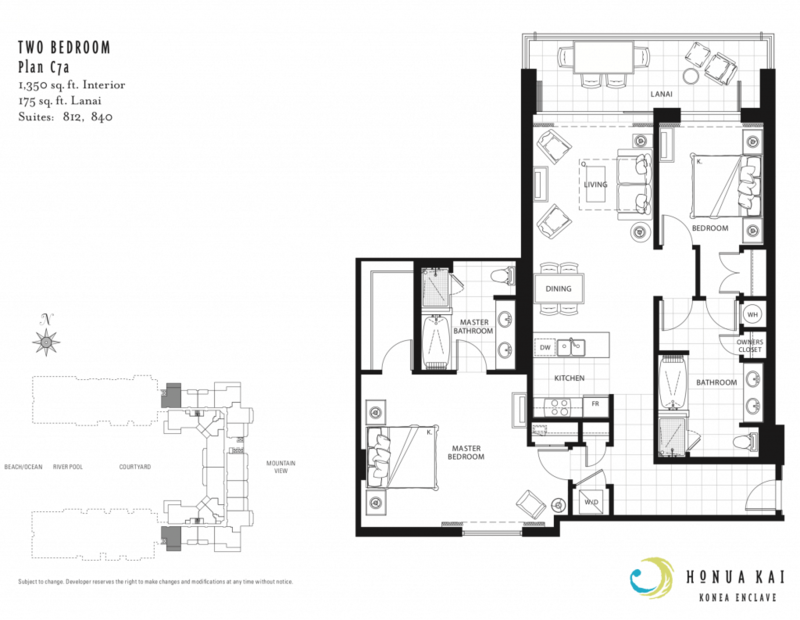 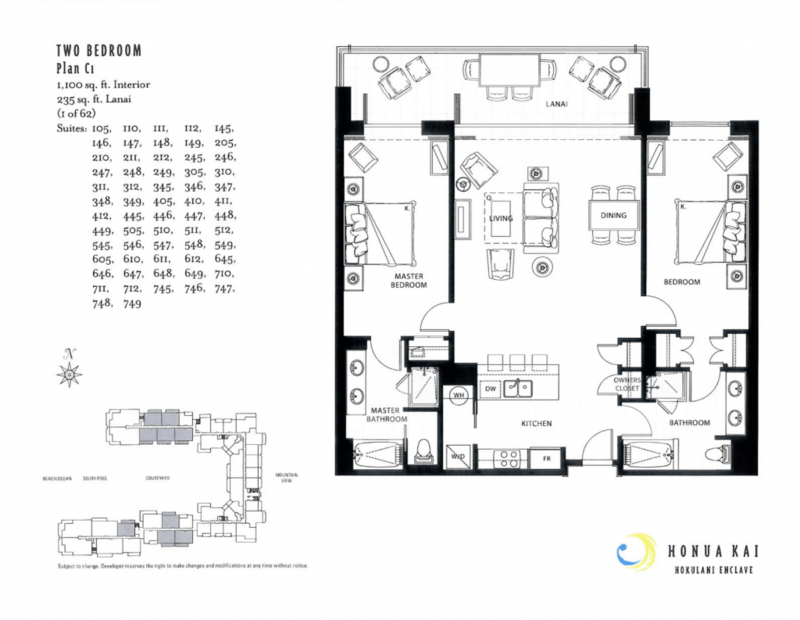 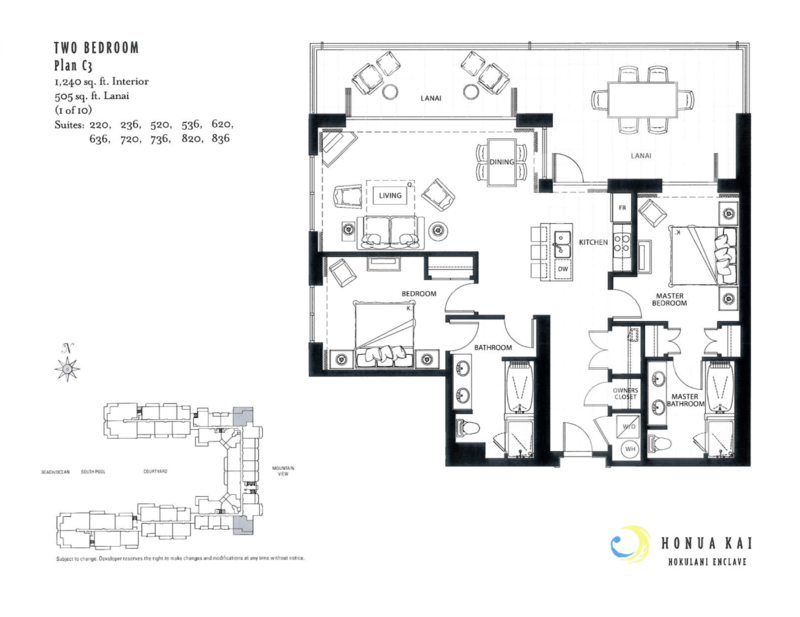 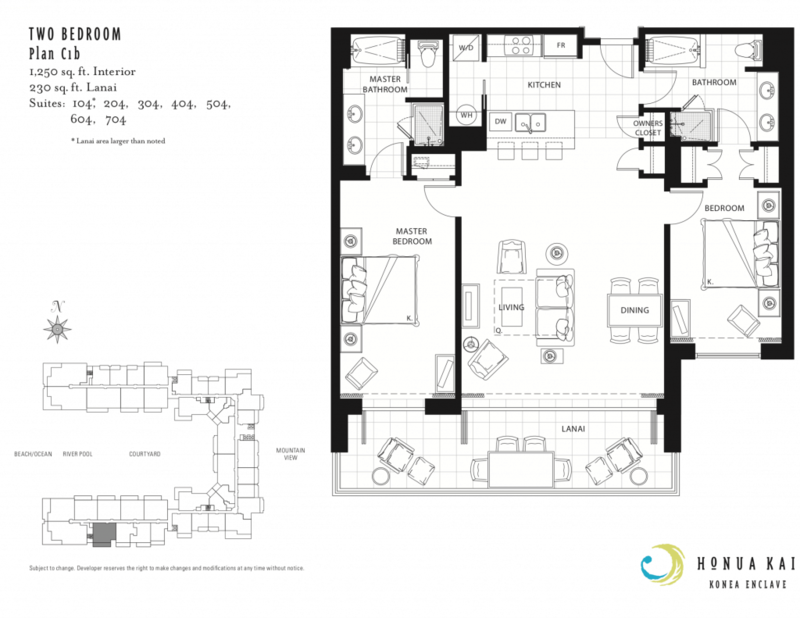 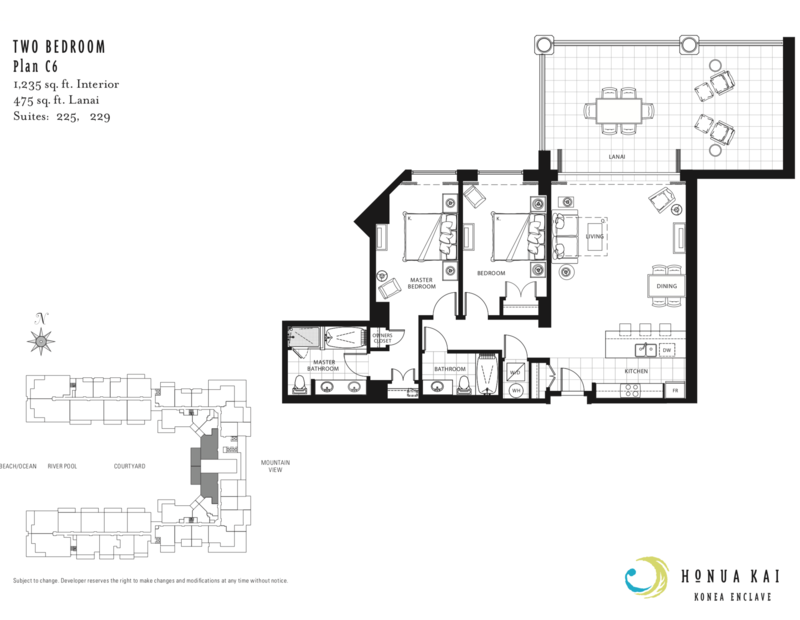 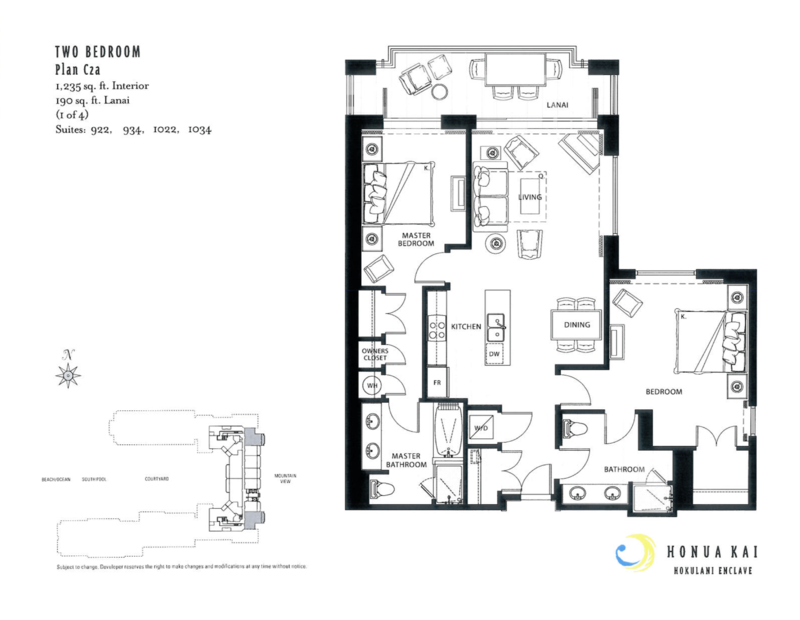 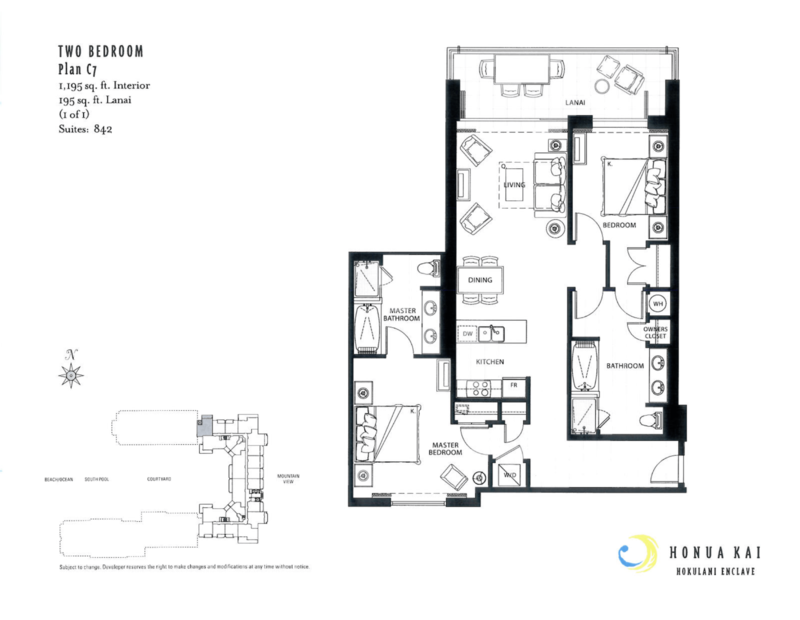 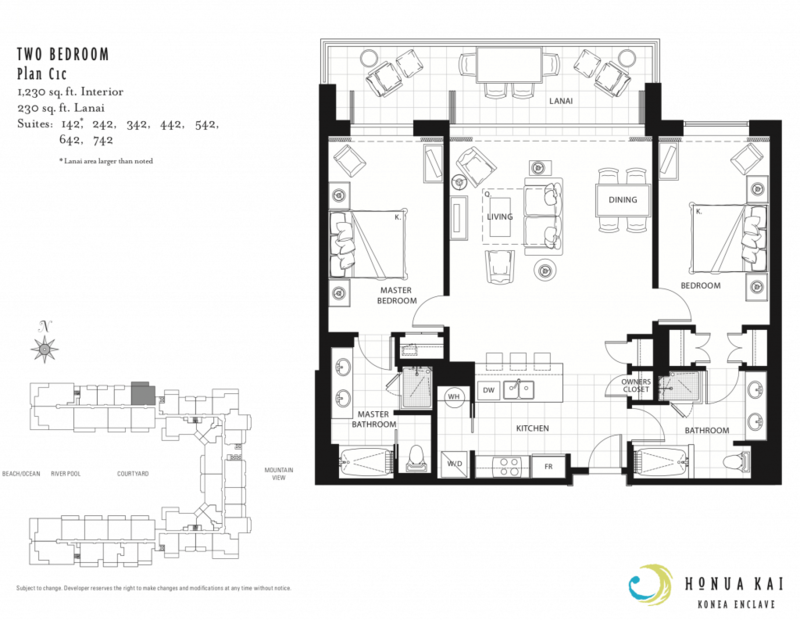 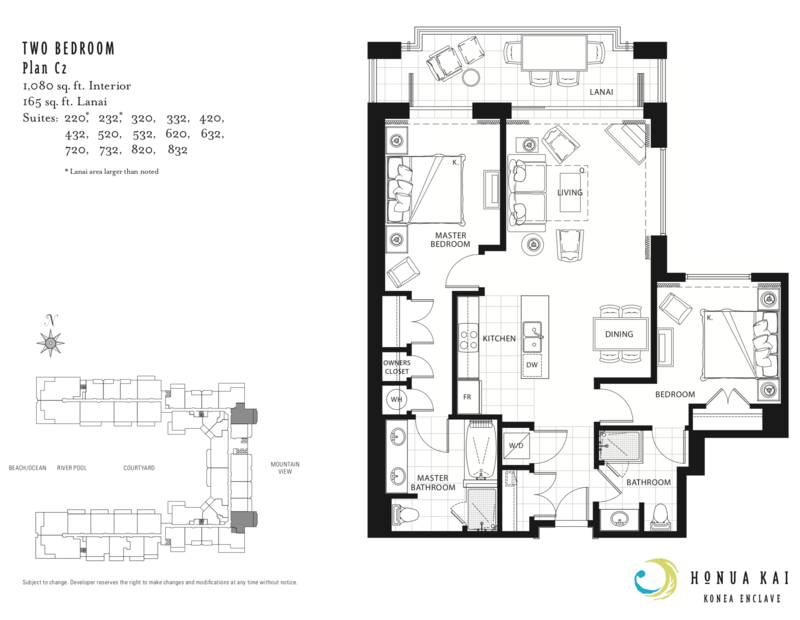 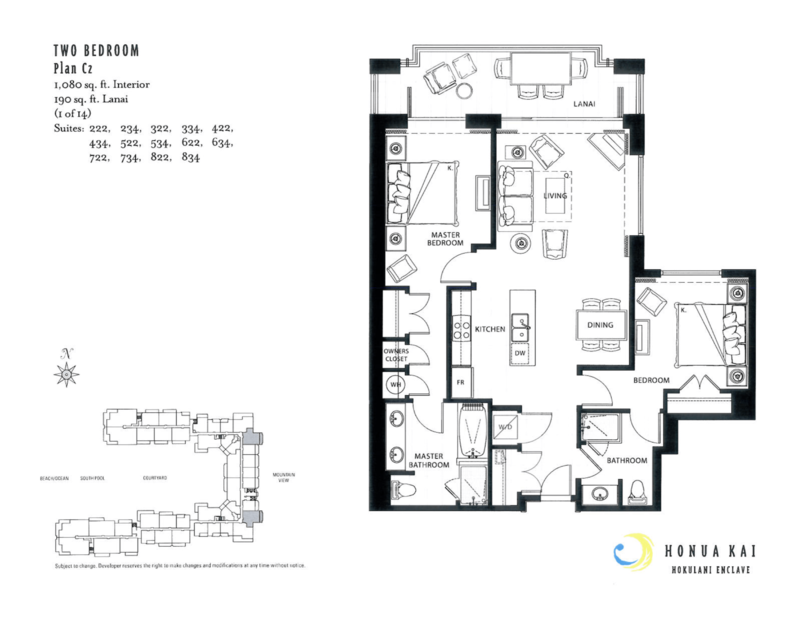 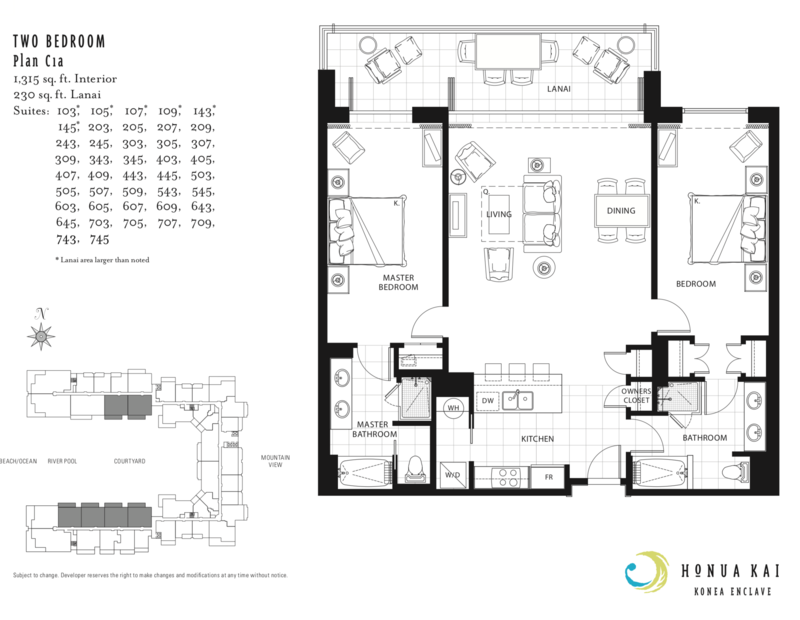 Below are a few of the most common 2 BR floor plans at Honua Kai. 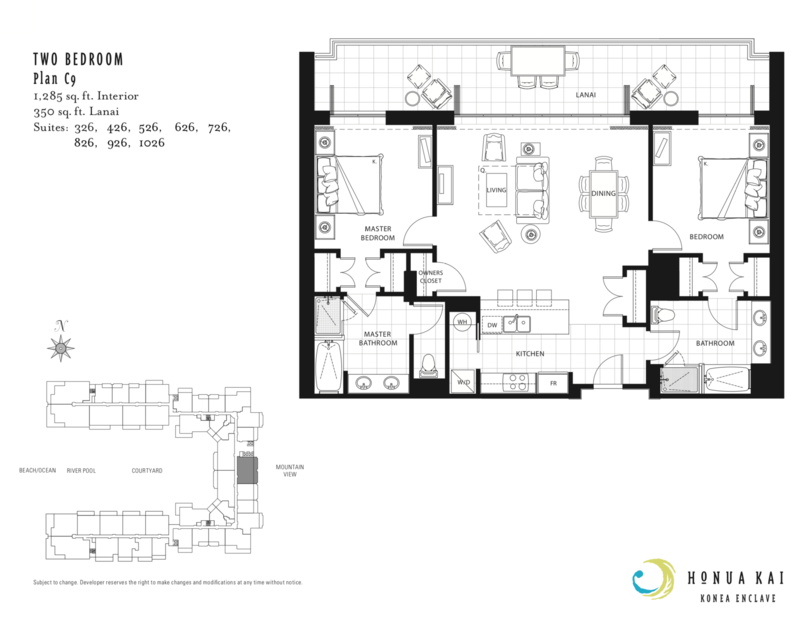 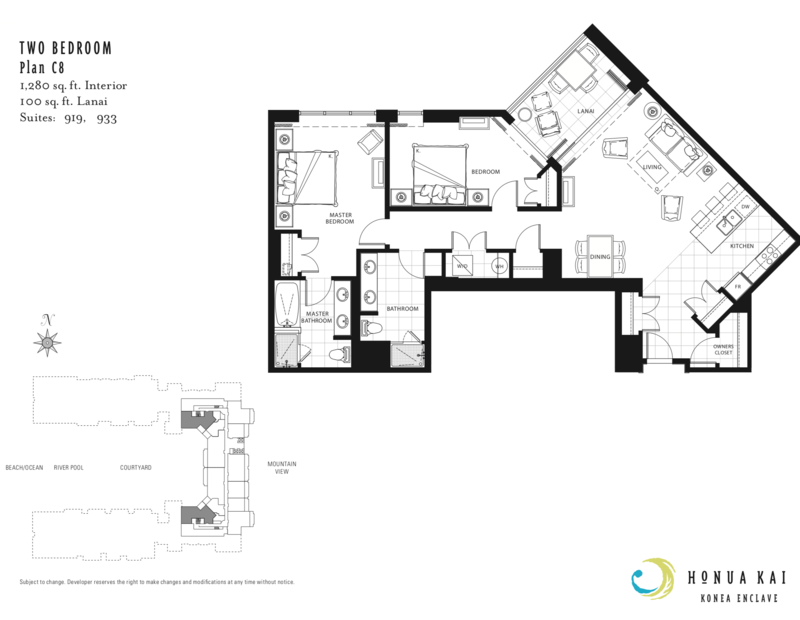 Typical 2 BR units range in size from 1,080 SF to 1,600 SF.